Software is eating the world, with apps replacing everything from flashlights to TV remotes. At this point, there are tons of apps on offer for music makers, some of which offer fairly decent alternatives (see our list of The Best Production Apps for the iPhone, for example). But then there’s the point where a $4.99 app might not be better than investing in the real thing. Regarding apps for music production, what started out as a couple of pads-simulators have sometimes turned into multi-layered DJ production units. 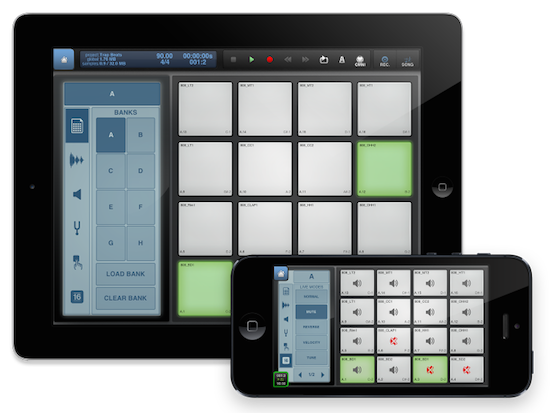 MIDI drum pads are evolving in the analog world, but like everything else have also made the jump to the app market. Let’s break down the app versus the real thing. Although not top-of-the range like noted DJ-fave the Maschine MK2, at this price point at least the comparison is slightly fair. Designed for organic and natural drum beats, this is supposed to be the most versatile drum pad around. Each pad can have customized dynamic curves or be set at its own fixed level. You’re able to strike the pad in any location, unlike many other systems that only respond when hit in the middle. 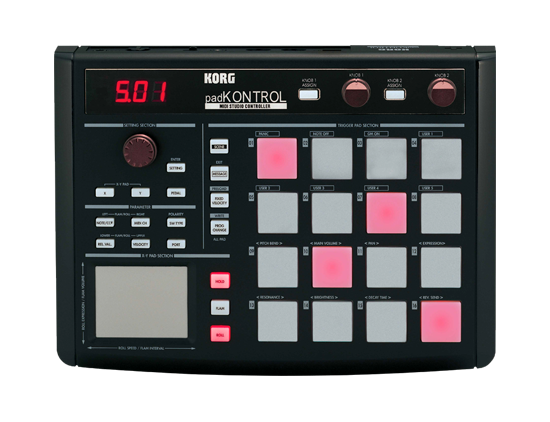 Two assignable knobs provide continuous control of two other MIDI parameters, with the ability to invert both. LED illumination gives the user the ability to see where each strike lands, working with the designated notes to provide accurate measurements. Once you have the pad configured the way you like it, save it with a “user screen.” There are 16 user screens available for saving, making it easy to get back to a project in no time. Pitching itself as a most advanced mobile music workstation for amateurs and professionals, it has more than 170 high-quality instrument and drum presets from synthesizers to realistic orchestral sounds. You can import songs from your iTunes and create multiple instruments and connect them to a full-range of audio effects. The user can also expand their sound with a wide range of additions (studio, multi-track sequencer, wave editor, mixer console). It’s easy to make the argument that the real thing is better and worth the money. In fact it’s the truth: it is better and worth the money. But I chose the app for a completely different reason: that before you go off and make something you should try the BeatMaker 2 app first. It has everything you need to lay down serious and professional tracks. Loaded with extras, you may redefine what type of musician you are once you’ve played around with the BeatMaker 2.